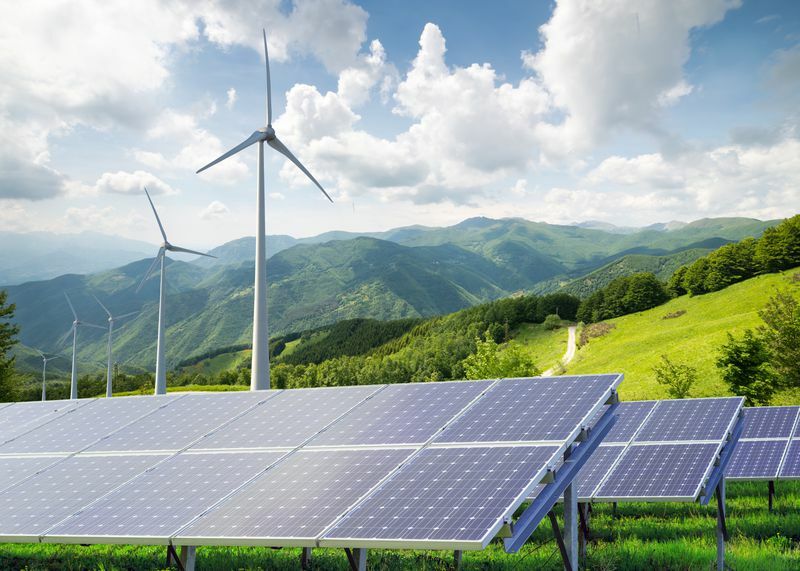 The group RE100 tracks 152 private companies across the globe that have committed to 100 percent renewables, including Google, Ikea, Apple, Facebook, Microsoft, Coca-Cola, Nike, GM, and, uh, Lego. The rapid spread and evident popularity of the 100 percent target has created an alarming situation for power utilities. Suffice to say, while there are some visionary utilities in the country, as an industry, they tend to be extremely small-c conservative. They do not like the idea of being forced to transition entirely to renewable energy, certainly not in the next 10 to 15 years. For one thing, most of them don’t believe the technology exists to make 100 percent work reliably; they believe that even with lots of storage, variable renewables will need to be balanced out by “dispatchable” power plants like natural gas. For another thing, getting to 100 percent quickly would mean lots of “stranded assets,” i.e., shutting down profitable fossil fuel power plants. In short, their customers are stampeding in a direction that terrifies them. Utilities don’t think it is wise or feasible to go 100 percent renewables. But the public loves it. Insofar as utilities were in a public relations war over renewables, they’ve lost. They face a tidal wave. So what can they do? What they can’t do is tell customers why they can’t do it. Customers do not want to hear excuses. Nope. Customers didn’t want to hear it. Can’t-do arguments get a company branded as anti-renewables, and that means Bad Guy. After that, customers aren’t listening. An anti-renewables message, even a message that implies anti-renewables, is simply untenable. That is worth noting. It’s something I’m not sure US climate hawks or political types have entirely internalized. There aren’t many contested political issues on which public opinion is so unequivocally on one side. If they can make that key connection, then they can swing the conversation around. 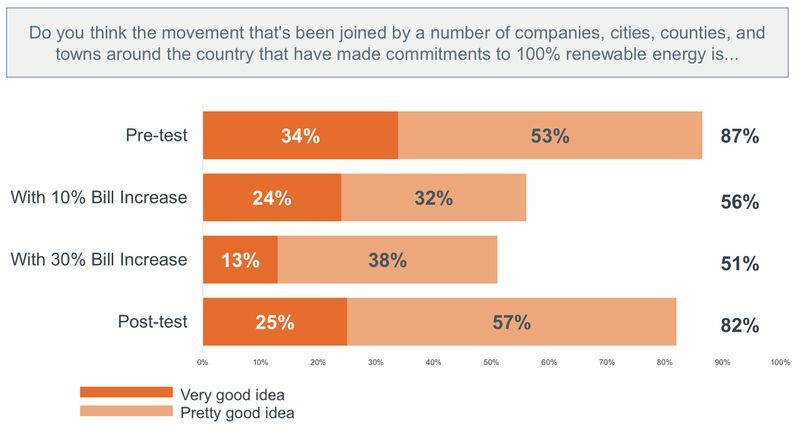 Once customers are convinced that utilities are sincere about supporting renewables, they become more open to the message that getting to 100 percent will take some time, that it needs to be done deliberately, and that costs need to be taken into account. “Given the cost and the complexities of it, it should be done gradually,” one Phoenix respondent said. “Not the next five years, but maybe by the end of our lifetimes,” said another. So where does this leave us in terms of the messaging landscape? In the 100 percent renewables debate, there are roughly three camps, at least among the researchers, energy executives, climate advocates, and journalists who pay attention to these sorts of things. 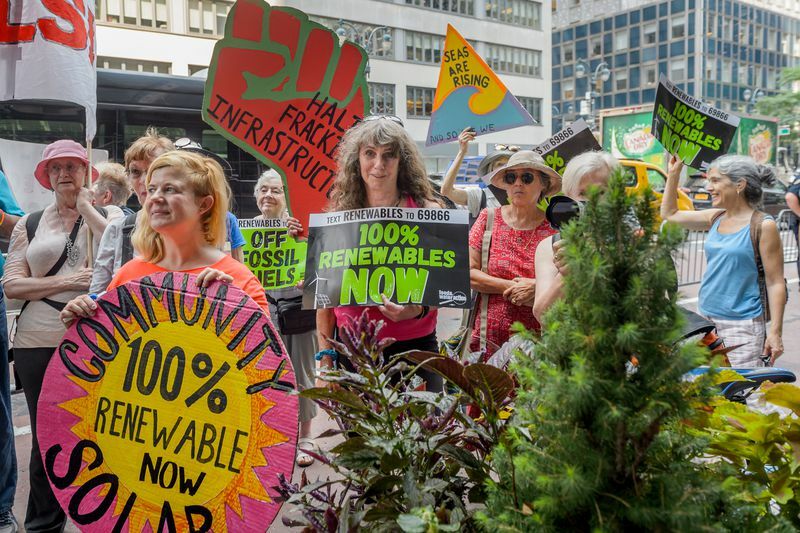 The first, with most activists and advocates, supports 100 percent renewables as a clear, intuitive, and inspiring target, an effective way to rally public support and speed the transition. The second camp believes that the cheaper, safer way to get to carbon-free electricity is not to rely entirely on renewables but to supplement them with “firm” zero-carbon alternatives like hydro, nuclear, geothermal, biomass, or fossil fuels with carbon capture and sequestration. (See this paper, from a group of MIT researchers, for the best articulation of that argument.) This camp supports the strategy California has taken, which is to mandate 100 percent “zero carbon” rather than “renewable” resources, to leave flexibility. The third camp, containing many utilities and conservatives, flatly doesn’t believe 100 percent carbon-free electricity is possible anytime soon, and would just as soon not close working fossil fuel power plants before the end of their profitable lives. They would like to continue balancing the rising share of renewables with natural gas. The first camp has won the public’s heart. Big time. Everyone, even those gritting their teeth, has to signal support for renewables if they want to be taken seriously. And there is some room for the second camp to convince the public that the transition to clean energy is best achieved by relying on sources beyond renewable energy, or at least by not locking ourselves into renewables prematurely. One of the survey’s findings is that under a range of questions, the public does not have a strong preference between increasing renewables and reducing carbon emissions. I doubt most people differentiate the two at all — they are vaguely good, environmental-ish things. But these are implementation details. The decarbonization ship has sailed. Renewable energy is in the vanguard and, at least for now, it appears unstoppable. At this point, it is difficult to imagine what could turn the public against it. (Perhaps a giant wind spill?) 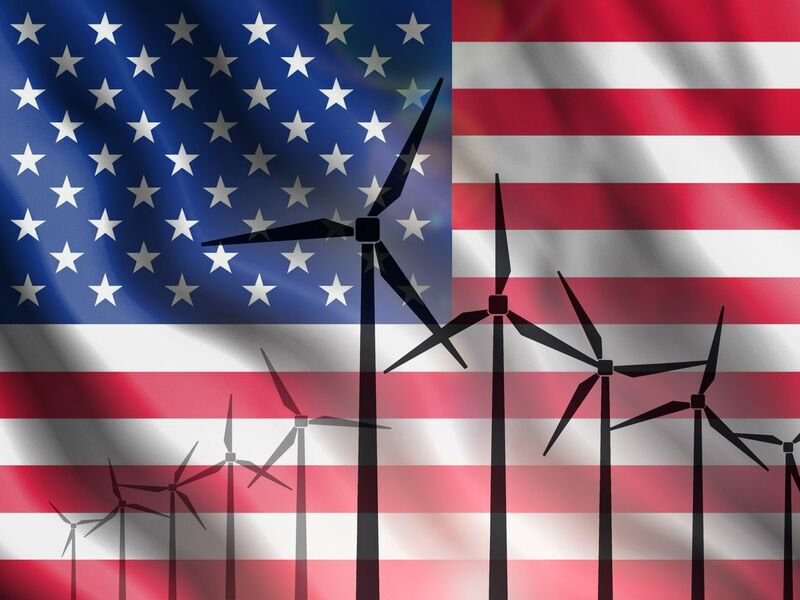 The more relevant question is when lawmakers will catch on to renewable energy’s full political potential. The basic message from the public, if I could pull together all the strands of the research, is this: We want clean, modern energy, and we’ll pay for it. We’re willing to let experts work out the details, but we don’t want to hear that it can’t be done. Just do it. Utilities can’t make that sentiment go away, though they can and will try to soften it. In the meantime, in the off-chance that their messaging efforts fail, they’d better get serious about giving customers the clean energy they want. When does the Scottish transfer window close, and can they still sign players from England?